Seth Wilson’s Jeopardy! streak may have come to an end last night, but he is still all smiles. According to the Jeopardy! Official Website, the PHD Student at the University of Georgia won the gameshow for 12 straight days in a row. Now, he is walking away with $265,002, so I guess you can say he is still winning. Just before taking on win number 13, Wilson’s streak ended in a hard round of Double Jeopardy. He choose the category “The Economy” and to his surprise, every contestant got the question correct. This caused a fellow contestant, Margie Euler Ott, and her $17,000 wager to claim the win. Despite his loss, Wilson still remains the contestant with the seventh highest winnings is the shows history. 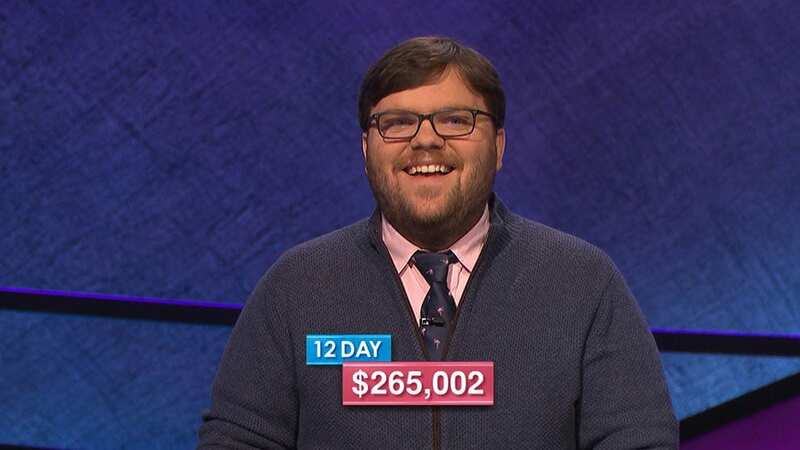 Wilson admitted after the loss, “I wish that I had wagered more on that last question.” However, he is still beaming about being on Jeopardy!’s all-time games won list. He hopes to use his winnings to pay off his doctoral student loans and take a trip to Europe.